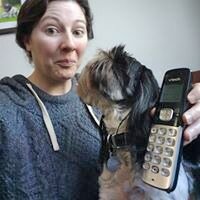 With over a decade of experience in the industry, Erin Fogg began Coats & Tails, LLC in 2011. 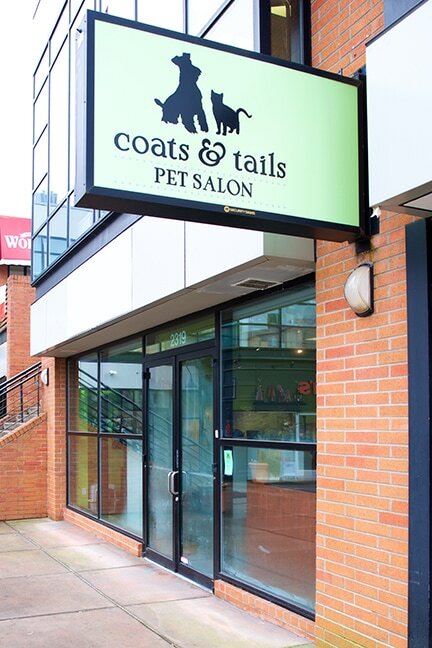 With three full-time groomers & reception full-time, Coats & Tails is proud to serve a large client base in the Portland area. We groom all dogs, big and small... and cats, too! Your dog or cat is scheduled specifically to suit their needs so the groomers are hands-on during the entire time the appointment. All of our groomers are certified with the National Dog Groomers Association of America. Coats & Tails is a member of The International Society of Canine Cosmetologists, and the National Cat Groomers Institute. 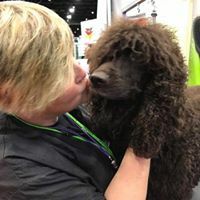 ​As a Certified Master Groomer, Erin recognizes that you can never have too many experiences under your belt. She began her career over a decade ago, has competed nationally, started her salon in 2011, and currently manages three full-time groomers and two receptionists. She encourages and fosters the continued education of her groomers by promoting their training and competitions. 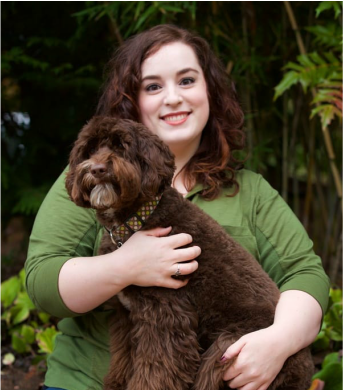 Erin ​is proud that her groomers can handle any breed, size dog, or special cut - including handstripping​ and cat cuts! Dogs and cats feel better after seeing Erin and her groomers at Coats & Tails, and that is her daily goal! ​When Erin is not grooming, managing her salon & employees, she is spending time with her partner, 2015 Andis Groomer of the Year, Michell Evans! And, with her three dogs: Iris (an Irish Water Spaniel), Piper (a Terrier mix), and Milton (a Field Spaniel). Megan began grooming 15 years ago very innocently, with a simple need for a job and a love of animals. She had no clue that her grooming job as a young woman would spark a passion within her to pursue it as a lifelong career. Constantly seeking continued education in her field, Megan enjoys competitive grooming and the opportunity that Coats & Tails gives her to groom a variety of breeds. Megan has completed the requirements to become a Nationally Certified Master Groomer, but she feels her biggest accomplishment is helping dogs look and feel as best they can everyday! She thrives on a team, and enjoys critically coaching her fellow groomers and encourages them to do the same for her! Megan enjoys filling her working days of Tuesday though Friday with all possible services from as early as 8am and as late as 5pm, with one handstripping available each day. Her dedication to each person's pet is apparently not only in the great cuts she gives, but also in her pursuit of animal care as Megan is certified in Pet CPR & First Aid. When Megan is not grooming, she enjoys metal detecting, sailing and spending time with her husband and three dogs: Ziggy (a pit bull), Frankie (a Border Terrier), and Nesta (a Standard Poodle). ​Natalie began her grooming career at 17 years old when she was unsure which direction her childhood love for animals would take. She is thrilled it has lead her to working at Coats & Tails, where she describes her position here as, "the best thing that happened in her professional life." Through continued education opportunities offered here, Natalie is pursuing Certification with the National Dog Groomers Association of America, and is set to accomplish her goal by August 2017! When she's not perfecting a scissor cut or studying handstripping techniques, Natalie takes trips to the coast, reads novels, and plays piano. ​At 14, Katelin began rescuing animals, and her path lead her to obtaining her Certification as a Professional Dog Trainer - Knowledge Assessed (CPDT-KA). She is a Professional Member of the Association of Pet Dog Trainers (APDT), an evaluator for AKC's Canine Good Citizen (CGC), certified in People & Pet First Aid/CPR, a Doggone Safe Member, a Be a Tree Presenter, a Spot magazine dog trainer award winner, and a Pet Partners Animal Assisted Therapy Team with her rescue Golden Retriever, Lucy. She loves working with Coats & Tails groomers and clients on Tuesdays, then spending the rest of her week training dogs & cats with her own company, Coexist Canine Coaching. In addition to scheduling appointments for the salon, Katelin advocates for low stress grooming and handling methods, and contributes to our social media pages. When Katelin isn't working with dogs or cats, she's spending time with her Golden out and about enjoying our beautiful city!